upcoming — Shaved Head Media, Inc. THE STORY: In this timely piece, a prestigious private school community in Manhattan must grapple with a stark revelation about its most popular and respected teacher, exposed as an actor in adult films. 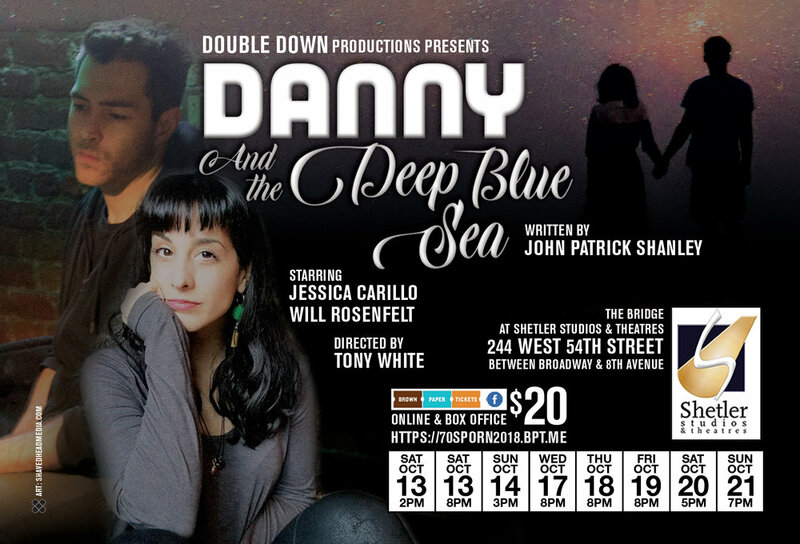 “DANNY AND THE DEEP BLUE SEA"
THE STORY: The setting is a rundown bar in the Bronx, where two of society's rejects, Danny and Roberta, strike up a halting conversation over their beer. He is a brooding, self-loathing young man who resorts more to violence than reason; she is a divorced, guilt-ridden woman whose troubled teenage son is now being cared for by her parents. Danny, whose fellow truck drivers call him "the animal," seems incapable of tender emotion, while Roberta, who is still haunted by the memory of an ugly sexual incident involving her father, is distrustful of men in general. And yet, as their initial reserve begins to melt, and they decide to spend the night together, the possibility of a genuine and meaningful relationship begins to emerge—the first for both of them. In the end there are no facile, easy answers, but thanks to the playwright's skill and compassion, both characters are able to probe within themselves to find an exorcism and forgiveness that, while painfully achieved, offers the hope of a future touched, at last, with more than the bitterness and loneliness that had been their lot before their fateful meeting.